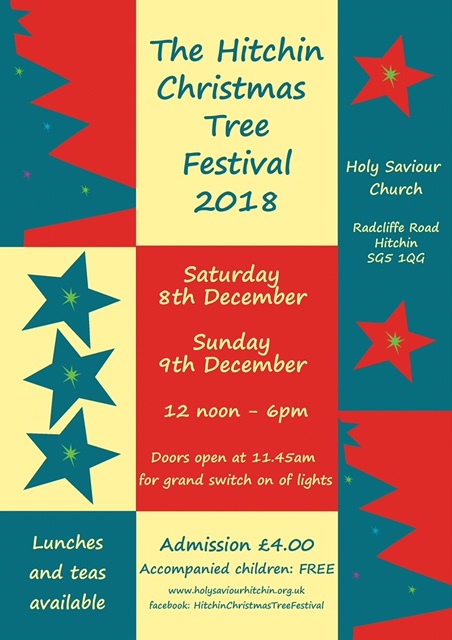 The 22nd Hitchin Christmas Tree Festival will take place as usual at Holy Saviour Church, Radcliffe Road SG5 1QG on Saturday and Sunday 8th and 9th December 2018 between 12 noon and 6pm. Admission £4.00, accompanied children free. Come and see 50 beautifully decorated trees in a lovely setting, with seasonal music from local musicians and choirs. Excellent home cooked lunches and teas available in the Festival Cafe. It’s a wonderful way to start your Christmas! On the Saturday morning, 10.30 -11.30 , the Festival will be open for disabled visitors and their carers who may prefer a quieter time to enjoy the display. 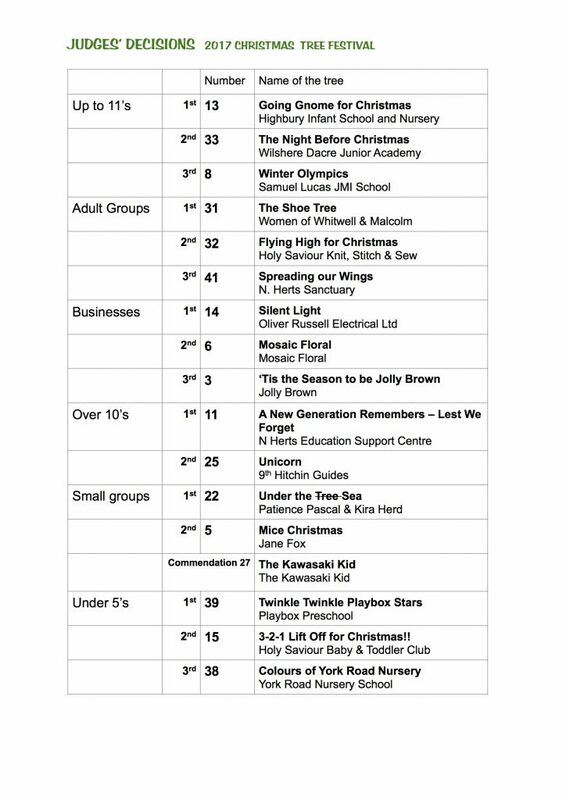 Further info from ctf@holysaviourhitchin.org.uk and Facebook HitchinChristmasTreeFestival. 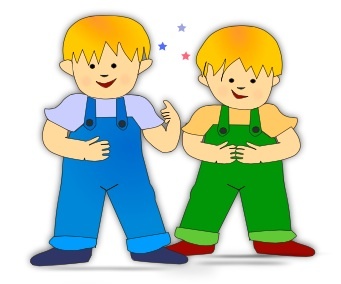 This entry was posted in Events, News on 29/10/2018 by admin. 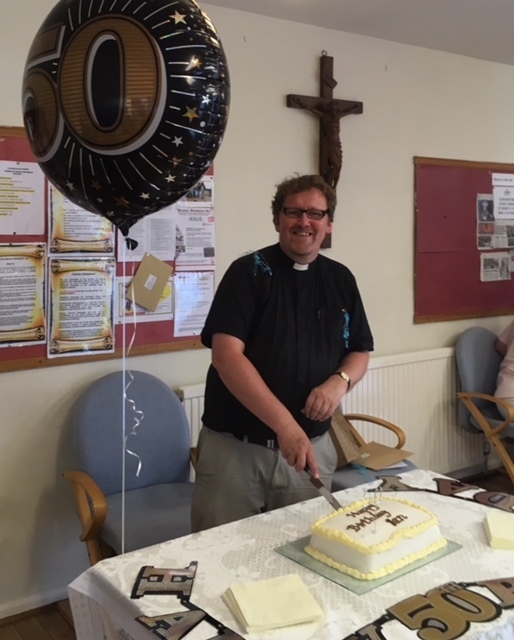 Father Ian celebrated his 50th birthday in style with a special cake after the Eucharist on Sunday 8 July. This followed a party in the Vicarage garden the previous day when 50 guests assembled to help him celebrate. This entry was posted in News on 10/07/2018 by admin. We celebrated the New Year by relaunching the Storyteller Service on Sunday 7 January with a fresh approach to the music. Instead of hymns, we sang praise songs to special arrangements written by our Music Director, Trevor Hughes, and accompanied by a four-piece band. We projected the words on a screen so we could all join in with the actions. We are also looking for a new name for the service. The front-runner is “Tots Praise”. Can you think of a better one? Do contact us with your comments and suggestions! The response from the 30 adults and 20 children at the service was enthusiastic. Why not join us at the next service on Sunday 4 February at 11.15am? This entry was posted in News on 08/01/2018 by admin. Another amazing festival comes to an end, and we congratulate all our exhibitors for their flair and originality! This entry was posted in News on 12/12/2017 by admin. A ticketed event. See the sparkling trees in evening light with a glass of mulled wine and light snacks, and enjoy a Christmas concert with the Holy Saviour Church Choir and the Radcliffe Singers. Doors open at 6.30 pm; concert starts at 7.45 pm. Tickets (£12.00) are available in advance from Tory Evans (01462 712212). Saturday 10.30 – 11.30 is a quieter hour for anyone with a disability and their carer. The session finishes at 11.30 when tree lights are turned off but the Festival Café is open. Entrance £4 (as usual), but carer comes free. Call Gill (07576 269226) if you’d like further details, but you don’t have to book in advance. Come to be seated by 12. Saturday: St Andrews School Choir will sing before counting down to lighting the trees. Sunday: our openers will be the Bancroft Players from the Queen Mother Theatre with a brief taste of their ‘A Christmas Carol’ production. Festival Entrance Tickets £4 for adults, accompanied children free. Open 12 to 6pm (last admission on Sunday 5.40pm). The Festival Café in the Church Hall is open throughout the festival hours for delicious hot and cold lunches, teas and homemade cakes all at reasonable prices. The Festival Celebration with Carols at 6pm on Sunday closes the event. Results of the popular vote, the judging and the raffle draw will be announced. Monday 9am-1pm: Exhibitors dismantle and remove their trees and church is restored to normal. Certificates awarded from the judging and popular vote will be placed under the appropriate trees for collection. Visit our dedicated Facebook page to share, like, and post your pictures throughout set-up and the festival and to find results of voting/judging. This entry was posted in Events, News on 15/11/2017 by admin. 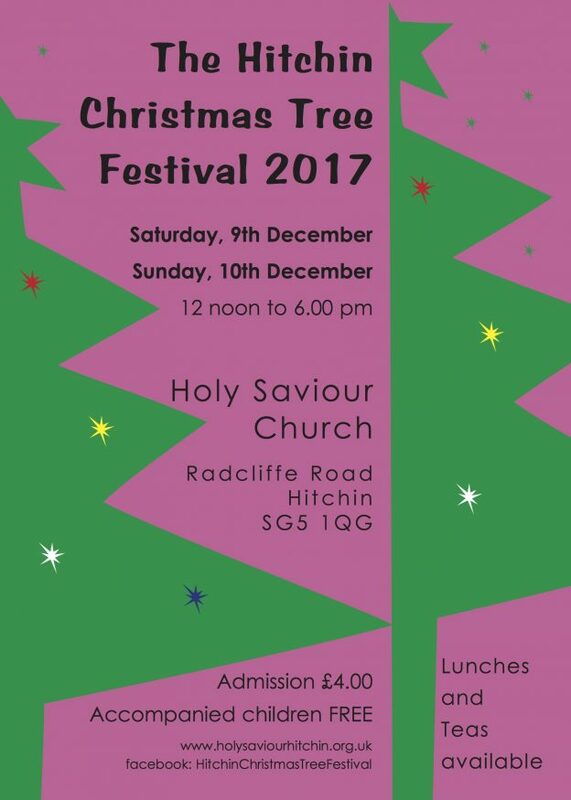 The annual Christmas Tree Festival Preview Evening and Concert will take place at Holy Saviour Church, Radcliffe Road, Hitchin SG5 1QG on Friday 8th December 2017. Doors open for viewing of the trees at 6.30pm, and the concert starts at 7.45pm. Be among the first to enjoy the delightful display of decorated trees, before a concert of seasonal music given by Holy Saviour’s two choirs, directed by Trevor Hughes. Mulled wine and light refreshments are included! This entry was posted in Events, News on 07/11/2017 by admin. 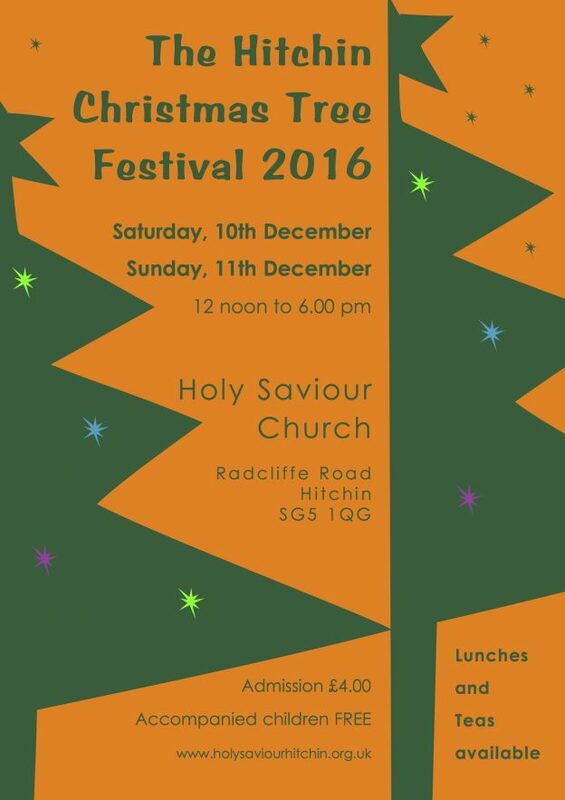 The 21st Hitchin Christmas Tree Festival will take place as usual at Holy Saviour Church, Radcliffe Road SG5 1QG on Saturday and Sunday 9th and 10th December 2017 between 12 noon and 6pm. Admission £4.00, accompanied children free. The lovely pipe organ in Holy Saviour Church has been in constant use for services and concerts for thirty years and has had only tuning and routine maintenance. It is now becoming unreliable, and is demanding imaginative efforts by organists to counter its increasingly unexpected behaviour. The organ is in need of comprehensive overhaul. This involves removal for cleaning and adjustment of all the 798 pipes, not to mention careful renovation of the complex mechanical linkages which open the valves in response to operation of the keys and pedals. The work, which is skilled and labour-intensive, is expected to take six weeks. We hope that work can begin in January 2017, to be completed by the end of February. The project will cost approximately £16,000 (+ VAT, which we hope to reclaim). Each year the Church tries hard to meet its outgoings, and although we have some reserved savings, we cannot afford to borrow from this fund without repaying it. This is why we need YOUR help! 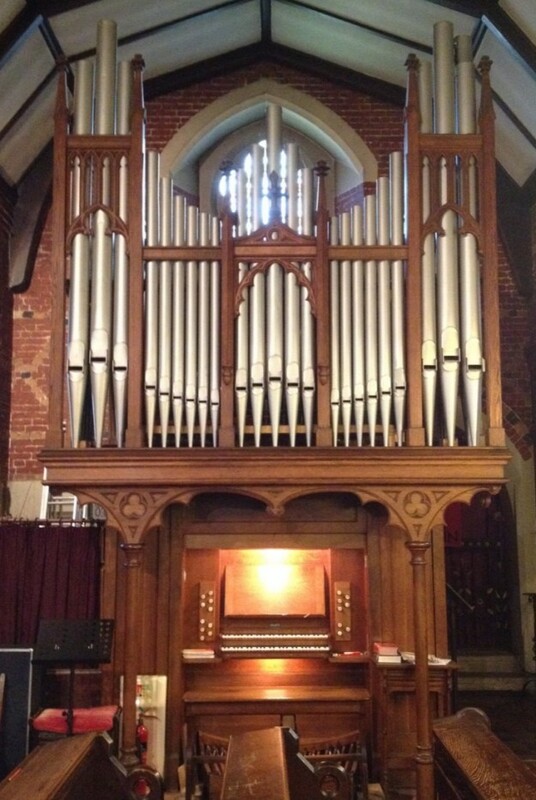 Will you support our venture by donating to our Organ Renovation Appeal, “PULLING OUT ALL THE STOPS”? Go to our JustGiving page, or download our Appeal leaflet. Your generous help will be warmly appreciated! This entry was posted in News on 08/01/2017 by admin. The 20th Hitchin Christmas Tree Festival was a huge success, and we were delighted to welcome around 2,500 visitors to view the fifty beautiful and imaginative trees. We’re grateful to Tim & Stella Farr for judging the trees in five categories, and in addition visitors were invited to vote for their favourite tree. This entry was posted in Events, News on 11/12/2016 by admin. Inner Glass Doors Appeal – Success! We’re delighted to announce that the appeal has achieved its target. The sum collected amounted to £16,510, and all this money will be applied to the project. The work is largely complete, but we are still awaiting delivery of the second set of handles which will be fitted to the north doors in place of the temporary ones. 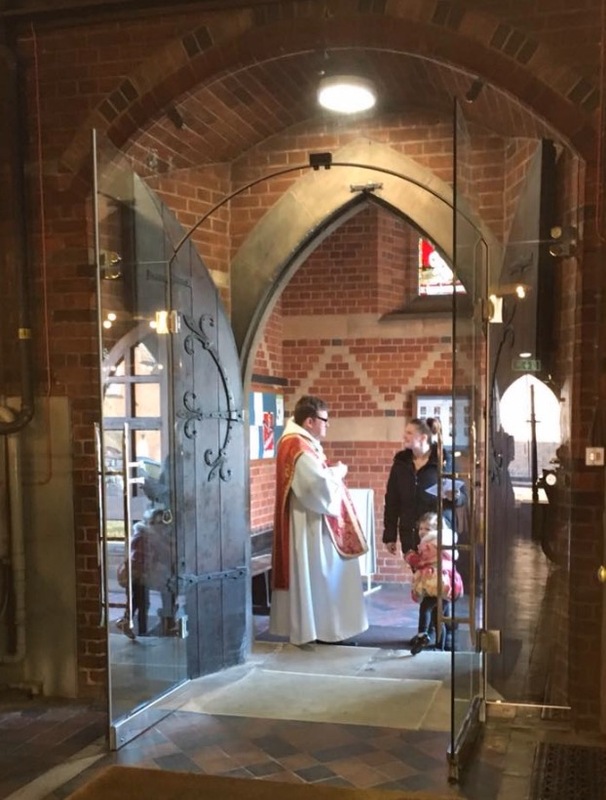 The handles have been specially designed for Holy Saviour Church by our church architect, Michael Dales, and so have had to be specially manufactured. Many thanks to all who have so generously supported the appeal! This entry was posted in News on 19/04/2016 by admin.